Diverse, unique, and eclectic. It is a land where you will find lush, rolling green hills laced with hiking trails that meander through towering, canopy-heavy trees, colorful limestone canyons, and over babbling brooks. It is where you can also divulge your senses with a sublime variety of culinary delights and foodie hangouts – wood fired pizzas, flambe desserts, food trucks, hidden speakeasies, and 120-year old lumberyard turned entertainment destination. Ever wonder what happened to that piece of luggage that mysteriously disappeared back in 1999 after that whirlwind vacation? Well, it probably ended up at Unclaimed Baggage – Home of the Orphaned Bags. Unclaimed Baggage Center acquires baggage left at airports around the country and finds new homes for the forgotten belongings. 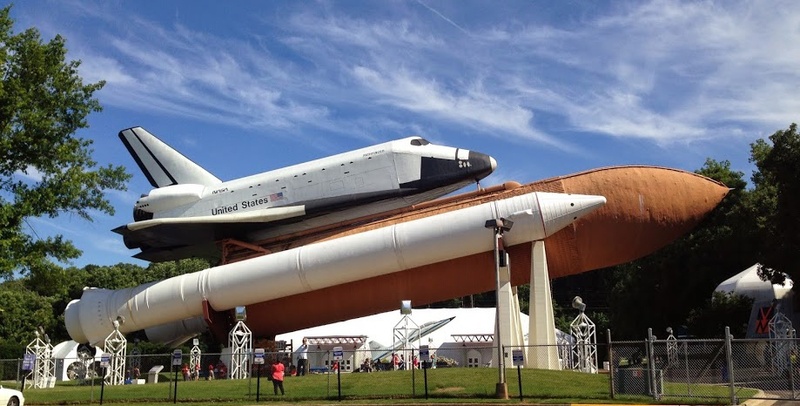 Huntsville is also known as Rocket City. It is the home of Space Camp, where kids, teens, and adults can experience life as an astronaut, without leaving Earth. I lived one of my childhood dreams after becoming an empty nester; you are never too old for Space Camp. Want to know what else waits for you in Huntsville? Watch the video below.